At the Maryland Soccer Plex in Germantown, Maryland. 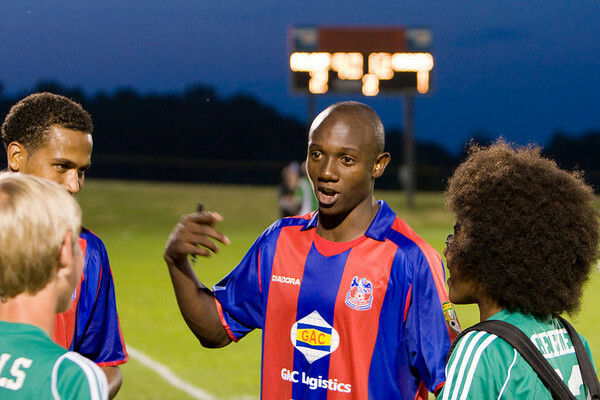 Result: CPFC Baltimore 2 - Bermuda Hogges 1. Mathew Mbuta talks to the ballboys.